The first complete bee census, led by Michigan State University scientists, confirmed a new species and revealed that the actual number of bee species in Michigan exceeded earlier estimates. Identifying potential pollinators, including the 38 new bees recorded in the state, is crucial, especially in the face of declining honey bee populations. All pollinators make an estimated $14 billion annual contribution to U.S. agriculture, so it's imperative to understand wild bee populations and their benefits to crops and the environment. "Pollinator conservation is not possible without a good understanding of what bees we have and where they are found," said Jason Gibbs, former MSU graduate student now with University of Manitoba. 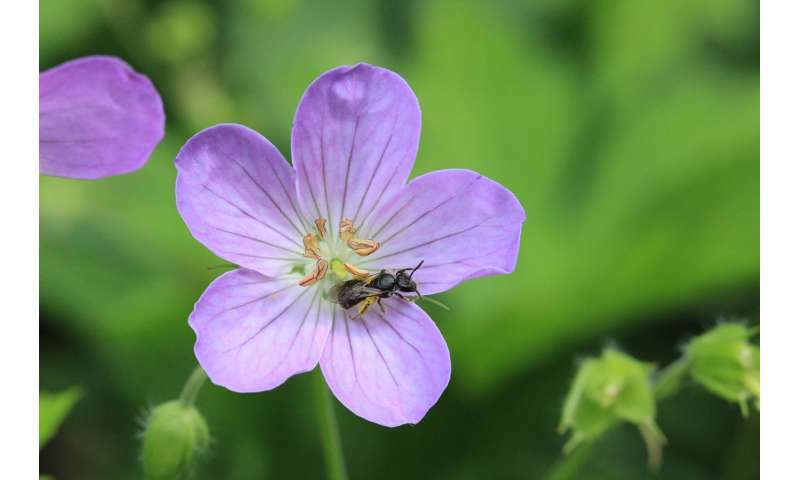 "We need better and more thorough sampling of our wild bee communities and an increased emphasis on understanding their basic taxonomy and natural history." The monograph is featured in a recent issue of the journal Zootaxa and shows that the Great Lakes State hosts 465 species of bees - the highest number of species reported by surrounding states. Along with providing a more accurate count, this deep-dive into wild bees provides summaries of their taxonomy and behavior as well as a preliminary conservation assessment. "It was illuminating to learn of the high number of species; one reason that our count could be higher than other nearby states, however, could be attributed to our overall efforts to document bee diversity," said Rufus Isaacs, MSU entomologist and co-author. "Regardless, this will be an indispensable reference that will help guide current and future research on our region's wild bees, which is a focus for a group of us at Michigan State University." The team's dedication across Michigan's most-scenic to the state's somewhat-pedestrian locales, led to the confirmation of the new species - in Grand Rapids of all places. The new bee species, Triepeolus eliseae, is described in the journal with a full taxonomic description and photographs of the distinguishing features. This new species does not collect pollen or live in colonies. It is a cuckoo, sneaking into the nests of more-industrious bees to lay its eggs. The larva that hatches grows enormous mandibles to dispense with its competition for the host-provided food stores. The discovery was brought to fruition by Molly Rightmyer, study co-author who named it after her daughter, Elise. 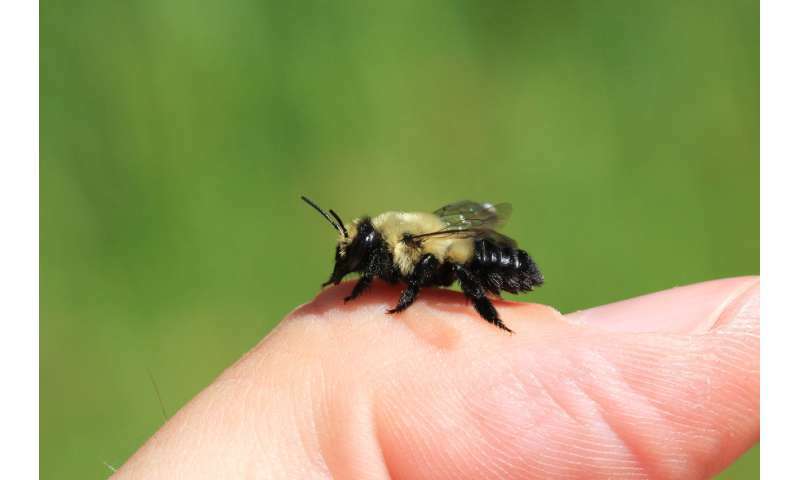 This parasitic bee's presence in Michigan had been known since the early 1940s. However, only now - more than 70 years later - has the taxonomy of this species been identified and resolved. Not sitting on its heels, the team is already thinking of how Michigan's bee monograph could be improved. The researchers hope more citizen scientists will increase their bee awareness and help document new finds. To assist identification efforts, MSU has published "Bees of the Great Lakes Region and Wildflowers to Support Them." Citizens can also log their finds at Bugguide.net and iNaturalist. In fact, citizen science submissions to these sites were included in Michigan's improved bee count. John Ascher, with the National University of Singapore, also contributed to this study as part of his effort to document the entire world's bee fauna. His exhaustive list is available through DiscoverLife.org.